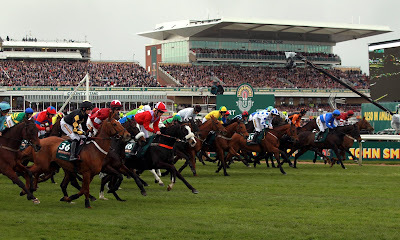 The Grand National is always a thoroughly absorbing and entertaining spectacle and is a race that evokes plenty of opinion from both racing enthusiasts and novices. The four-mile steeplechase, which commands a forty-strong field, regularly provides drama and excitement but it remains one of the toughest races on the calendar to predict. With such a competitive line-up and a huge number of fences to clear, there is a high chance of an upset and opposing the favourites in the market is strongly advised. Just five favourites have prevailed in the race since 1990 and the event, which is staged at Aintree Racecourse, is one of the biggest sporting events of the year. Don't Push It was the last favourite to land the spoils under a superb ride from Tony McCoy back in 2010, going off as the joint 10/1 fancy at the top of the market alongside Big Fella Thanks, who came home in fourth. Hedgehunter and Comply or Die are also relatively recent winners who started at single-figure odds but these success stories are few and far between. With 40 runners all hurtling across the turf in close proximity, bumps and knocks regularly occur and any small encroachment or nudge can disrupt the rhythm of another participant thus affecting the outcome of the event. There are very small margins in such a crowded field.Several runners have been taken down during the early stages of the race by a falling horse which has blocked their patch and this has put pay to their chances barely a mile into the contest. In the 2017 staging of the event, Definitly Red was amongst the leading fancies but was badly hampered early in the contest and had to be pulled up. Trainer Brian Ellison is back for another shot with his nine-year-old stable star and according to the latest betting from Oddschecker, he is the 20/1 second favourite for the 2018 race behind Blaklion. The Nigel Twiston-Davies runner went off as the 8/1 favourite in last year's event and after a promising start, faded late on and finished a tired looking fourth. He is unproven at the distance having never prevailed in any race longer than 3m 2f and that puts a huge question mark over his chances once again. He was imperious in the Becher Chase back in December 2017 beating Highland Lodge and the Last Samurai but is far from a sure thing in this significantly longer contest. Abolitionist is just one example of a runner who is capable of springing a surprise. The Dr Richard Newland trained ten-year-old is an Irish National winner and is returning from an injury layoff. 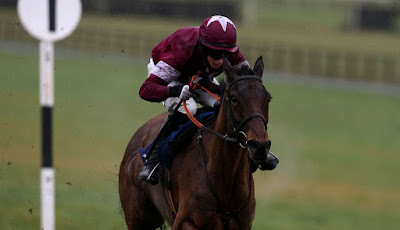 Mala Beach has recently won at Navan and could be an interesting contender if conditions take a turn for the worse. The Gordon Elliott trainer ten-year-old has shown plentyof versatility including two victories on heavy going. One For Arthur was the surprise winner of last year's contest, rewarding backers who had supported the 14/1 shot for trainer Lucinda Russell. Previous races have been landed by 33/1 (Rule the World), 25/1 (Many Clouds) and 66/1 (Auroras Encore) fancies and such lofty oddscan hugely reward each-way backers. 2009 winner Mon Mome was one of the biggest price winners in the last forty years of the Grand National coming home at an eye-watering 100/1. If a favourite somehow comes through the mire and crosses the line ahead of the chasing pack, a better strategy remains to pick out some bigger priced alternatives. Many online bookmakers will pay out for the first five places however if you shop around, a number of betting sites will stretch to 6th and 7th positions for a race of this magnitude and this can be a great way of securing some returns. In 2010, Don't Push It may have rewarded favourite-backers however the places were filled by 14-1, 16-1 and 20-1 shots whilst in 2016, Vics Canvas finished 3rd at 100/1 followed by Gilgamboa under Robbie Power who returned 28-1. Every Grand National bettor will have their own unique system, some are profitable; others less so. 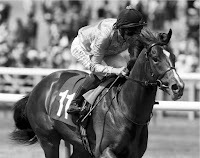 Backing the favourite has not been particularly rewarding in recent years and due to the competitive nature of the event coupled with the sheer volume of traffic en-route, it is often as much about luck as it is judgement. It is advised to look beyond the top of the marketand find a big price alternative instead. This is a much better way of enjoying the Aintree spectacle and it could be a strategy that pays dividends this year.